The primary objective of the Chamber is to promote Clear Lake businesses, which includes planning events in the community to promote shopping local and to bring in visitors. 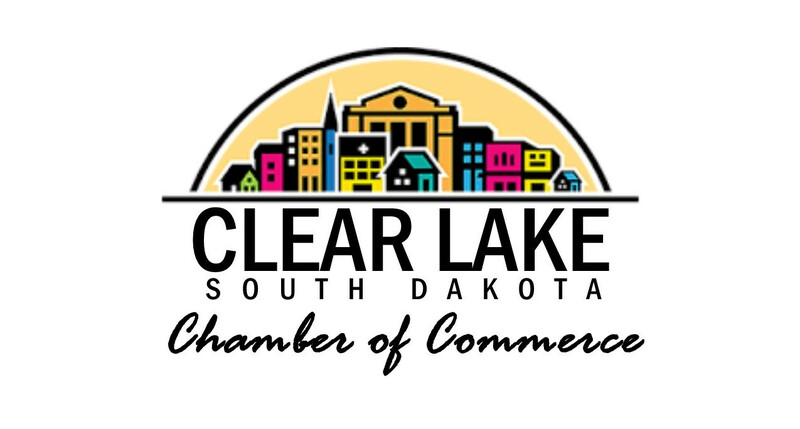 The Clear Lake Chamber of Commerce meets every third Monday at the Municipal Building (125 3rd Ave S) at 5:30 p.m. Everyone is welcome to attend. Want to be seen, be heard, be involved, be informed and belong? Join the Clear Lake Chamber of Commerce. For more information, contact any current board member (see below) or write to Clear Lake Chamber of Commerce, PO Box 341, Clear Lake, SD 57226. All Chamber members are volunteers who want to better our community. Mission. The CLCC is made of like-minded businesses, both large and small, and individuals who are focusing on growing their businesses and community in a flourishing environment. The organization drives to create and build a stronger, brighter future for its families and friends. Goal. The goal of the CLCC is to promote and advance the economic, social and moral interest of its businesses and community through strong leadership, networking, education and hard work by its members and other vested community residents.